Never one to be described as middle-of-the-road, Jeep has announced two extreme versions of its current 4x4 line-up. The Trailhawk is billed as the most off-road capable Cherokee model available, while the V8 powered Grand Cherokee SRT has been further styled for speed in the mysteriously named Red Vapor Limited Edition. The Trailhawk is powered by a 3.2-litre V6 petrol engine mated to a nine-speed automatic gearbox, including a low-range transmission for tougher conditions. It develops 268bhp and 315Nm of torque at 4,300rpm suggesting its greater agility will have a cost penalty at the fuel pumps. Jeep says the Trailhawk has been given for optimum traction, ground clearance, manoeuvrability, articulation and water fording ability. A ‘Trail Rated’ badge warns everyone behind not to follow unless they want to get stuck. As well as a rear axle differential lock, the car also features Selec-Speed control for ascending or descending hills more safely. 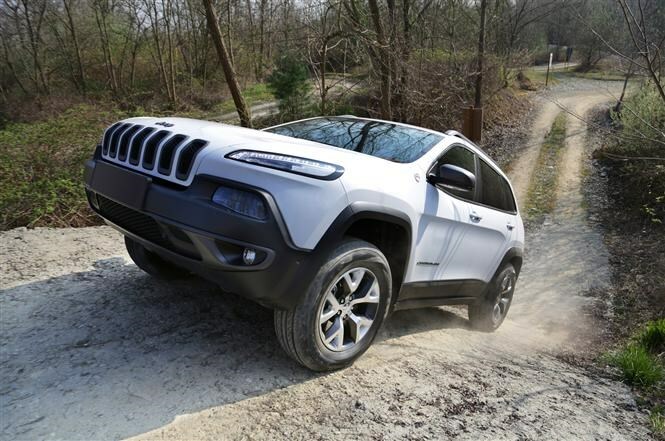 Jeep says it has a no-nonsense look, with steeper front and rear bumper angles to aid clearance, an extra inch of lift, and skid plates for the fuel tank, front suspension and transmission. The pursuit of off-road ability has not been at the expense of comfort, the Trailhawk has deep tinted sunscreen glass, Nappa leather trim, all-season floor mats and an infotainment system with 8.4-inch touch screen display and USB remote port. The Trailhawk costs £34,245 and is available from Jeep’s special order programme. 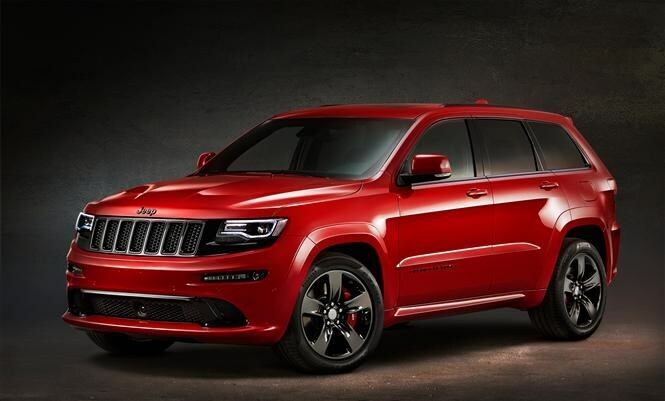 The second special Jeep model is the Grand Cherokee SRT Red Vapor Limited Edition. Ignoring the cross-Atlantic spelling of 'vapour', this version has a 461bhp, 6.4-litre V8, and can hit 62mph in five seconds. It is set apart from the standard SRT by a lower grille, glossy black badges and black chrome finish to the exterior trim. You can have it in metallic red, white or black. Inside, you will sit on exclusive Black Laguna leather and Radar Red suede seats with unique red stitching. The badge on the steering wheel is backlit, and grey chrome replaces the shiny chrome from the standard SRT. The Red Vapor will cost £64,999 when it goes on sale later this week.